Vlad Vyshnivetskyy is the Cyber Security Program Lead at AC3. AC3 is an Australian owned, operated Managed Services Provider, including Managed Security Services. 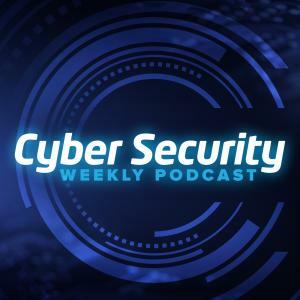 In this interview, recorded in Hong Kong, we discuss the role of MSSPs, importance of Service Level Agreements (SLAs) and Vlad makes mention of the Prudential Standard CPS 234 Information Security, scheduled to come into affect 1 July 2019, which aims to ensure that an APRA-regulated entity takes measures to be resilient against information security incidents (including cyberattacks) by maintaining an information security capability commensurate with information security vulnerabilities and threats. Vlad is an experienced Cyber Security manager with 20+ of IT experience, certified Project Management Professional (PMP, PRINCE2 and Scrum Master) and with a broad knowledge of information systems, Cyber security solutions, practices, processes, vendors and products, including Palo Alto, IBM, F5, zScaler, HPE, MicroFocus, Cisco, Trend Micro, EMC/RSA. Recorded 5 December, 2018 at the Canalys Channels APAC Forum, Hong Kong. MySecurity Media attended the forum courtesy of Canalys.